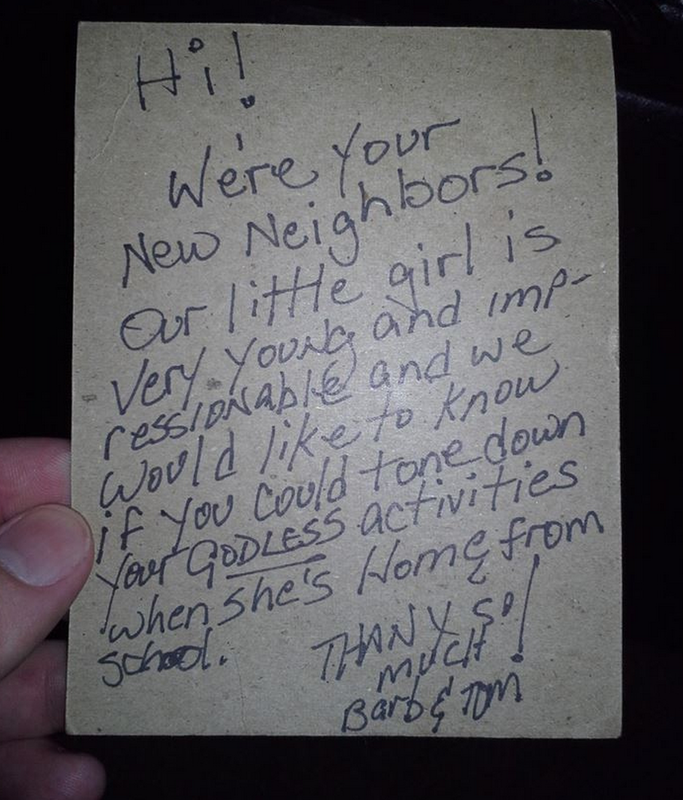 Man Gets Message From New Neighbors: "Tone Down Your Godless Activities"
This photo posted on Reddit has gone viral and it's difficult to know whether it's fake or real. It's very funny nonetheless. The person who posted the photo captioned it "Passive-aggressive Christians". Poster also did not elaborate as to what these "Godless activities" were. New neighbors! Our little girl is very young and impressionable and we would like to know if you could tone down your Godless activities when she's home from school.